I wish you good health and glorious days. The year 2016 was somewhat bumpy. It brought Brexit and Donald Trump. Mr Trump may not be a duly-elected President of the United States because Russian President Vladimir Putin meddled in an American election. Let us hope Mr Trump does not change what has been put into place radically. He does not have a clear mandate and countries need stability and continuity. Moreover, what happens in the United States affects the entire world. A New Year is a beginning and I hope 2017 will bring us joy and peace. I am inserting Mozart’s Laudate Dominum. It is one of the finest compositions ever. I am providing you with a list of natural historians. There are other historians than those I have listed. 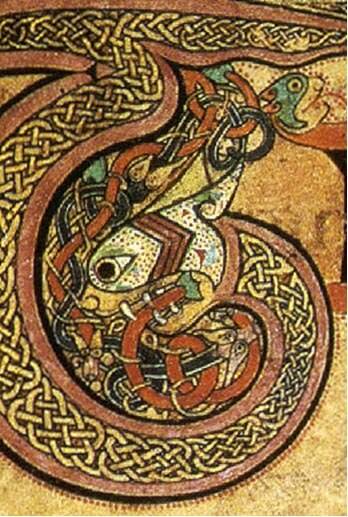 Moreover, some of the authors of Medieval Bestiaries were historians. My sources are the Medieval Bestiary and Wikipedia. Nature included not only animals, plants, flowers, but “the moon, stars, and the zodiac, the sun, the planets, the seasons and the calendar[. ]” (Vincent de Beauvais). I have already noted that our humble calendars were cultural monuments. 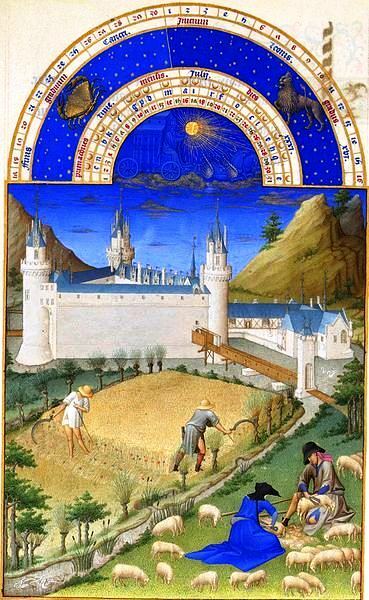 Jean de France’s Livre d’heures (Book of Hours) is probably the chief example of humanity’s need to chronicle its hours and the labours of the months. Les Très Riches Heures de Jean de France, Duc de Berry and the Book of Kells are genuine treasures. 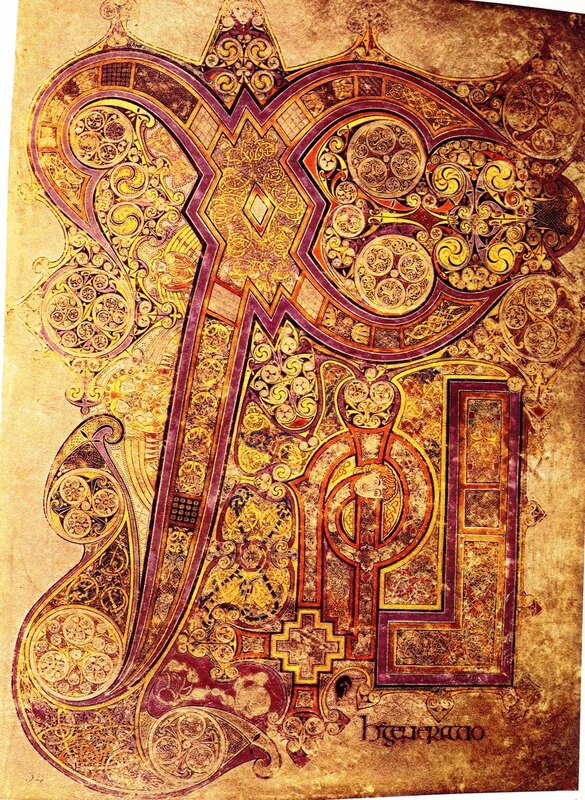 The beauty of the Book of Kells never ceases to amaze me. It is always new. 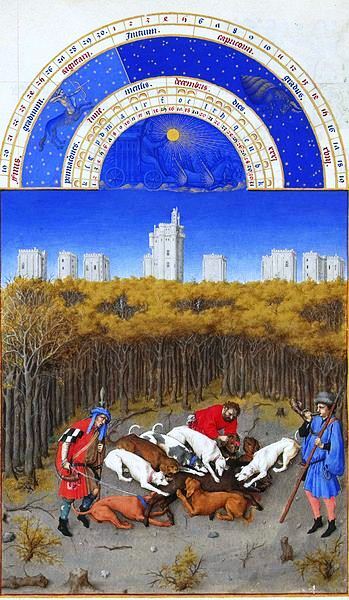 As for Jean de France, Duc de Berry’s Livre d’heures, it is also an extremely beautiful book and it features the zodiac, thereby attesting to continuity between “paganism” and Christianity. The authors of the Natural Histories relied to a large extent on the testimonial of earlier natural historians, which did not make for accuracy, but was acceptable in the Middle Ages. Predecessors were masters one strove to equal. Marco Polo‘s (15 September, 1254 – 8–9 January, 1324) Book of the Marvels of the World (Le Livre des merveilles du monde), c. 1300, was also a source for natural historians who lived during Marco Polo’s lifetime and afterwards. Although Natural Histories listed mythical animals and much lore, I would not dismiss the accounts of the natural historians of Greece, Rome, early Christianity, and the Christian Middle Ages. Their books reveal various steps in our history. 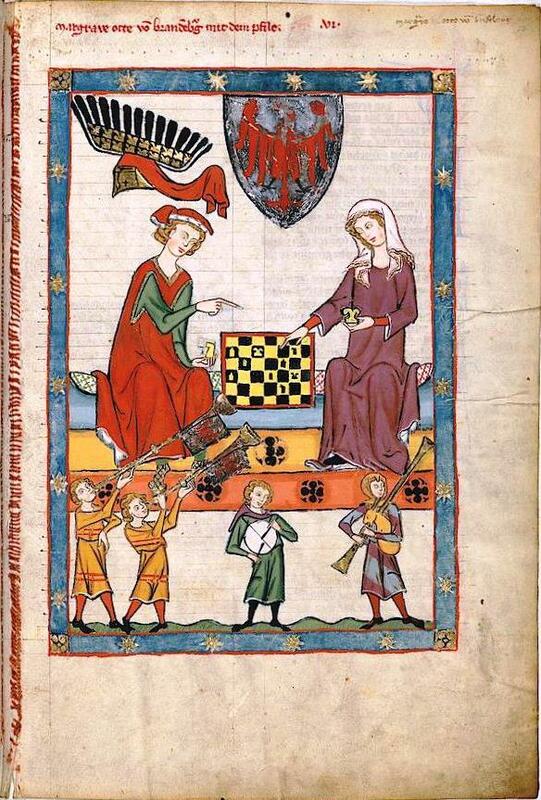 For instance, the bestseller of the Middle Ages was Jacobus de Voragine’s (c. 1230 – 13 or 16 July 1298) Golden Legend, which contained mostly inaccurate hagiographies (lives of saints). Although it was rather fanciful, it served as a mythology and humans need mythologies. They need to trace their roots. Claudius Alienus’ On the Characteristics of Animals is available in print: Book 1, Book 2. But it may be read online at Internet Archive (Book 1, Book 2, Book 3). So are other books. For my purposes, On the Characteristics of Animals (EN) was extremely useful. It is the natural history I used when I prepared my course on Beast Literature. Guillaume de Machaut, Rondeaux. Manuscrit copié à Reims, vers 1373-1377. Vincent of Beauvais (c. 1190 – 1264? ), a French Dominican friar, Speculum [mirror] naturale (His Speculum Maius was the main encyclopedia used in the Middle Ages.). Aelian’s On the Characteristics of Animals is an Internet Archive publication. (Book 1, Book 2, Book 3). Medieval art is always new. It belongs to a collective childhood eager to chronicle every joyous moment of its journey into the future, despite calamities. The plague ended the golden era of the Provençal troubadour (langue d’oc), the trouvères (langue d’oïl) of northern France, and the Minnesingers[i] of German-language lands. See the List of such codices. [i] “minnesinger.” Encyclopædia Britannica. Encyclopædia Britannica Online. Encyclopædia Britannica Inc., 2014. Web. 21 Sep. 2014. <http://www.britannica.com/EBchecked/topic/384329/minnesinger>. [ii] “Walther von der Vogelweide.” Encyclopædia Britannica. Encyclopædia Britannica Online. Encyclopædia Britannica Inc., 2014. Web. 20 Sep. 2014. <http://www.britannica.com/EBchecked/topic/635145/Walther-von-der-Vogelweide>. 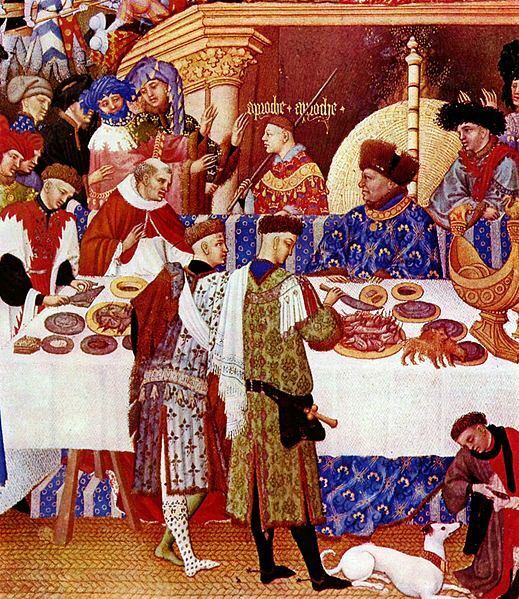 The Middle Ages is a period of European History that began in the 5th century CE. On the 4th of September 476, Romulus Augustus, the last Emperor of the Western Roman Empire, was deposed by Odoacer, a Germanic chieftain. The collapse of the Western Roman Empire occurred gradually as nomadic tribes: Visigoths, Ostrogoths, Vikings, Vandals, Franks, Gauls, etc. invaded the various regions the Romans had conquered. The new age, known as the Middle Ages and, pejoratively, as the “dark ages,” would last until the 15th century CE and was not entirely dark. In Western European countries, it was the golden age of illuminated manuscripts, many of which featured fanciful and even mythical beasts and are called bestiaries. It would appear that Celtic monks were among the first artists to produce illuminated manuscripts, but the movement spread south and reached a pinnacle in the 15th century, in the current Netherlands, then known as the Franco-Flemish or Burgundian lands. However, a thousand years after the fall of the Roman Empire, in 1453, the Byzantine Empire fell to the Ottoman Turks and, three years earlier, in 1450, the printing press had been invented. These two events changed the course of history. The fall of the Byzantine Empire brought about a rebirth (Renaissance) in European culture and it so happens that Johannes Gutenberg (c. 1395 – 3 February 1468) invented the printing press as the Greek scholars of the Byzantine Empire fled west, first to Italy, carrying precious Greek manuscripts. 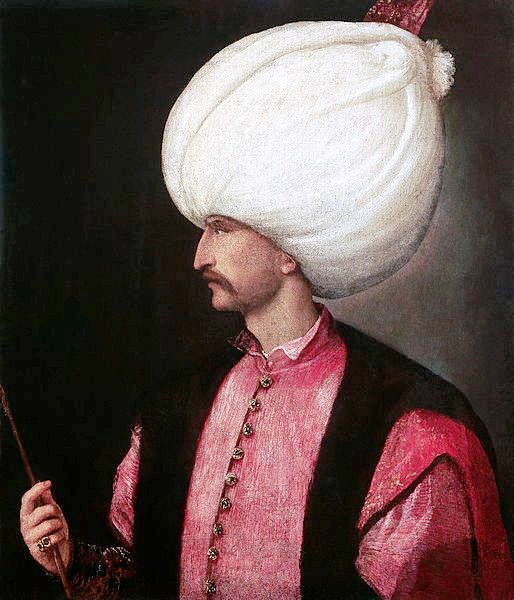 So the invasion of the Byzantine Empire, by the Ottoman Turks, the last invasion, ushered in a new age. 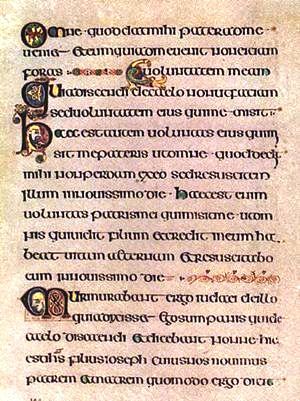 Europe entered its Renaissance (literally: rebirth) and, as it did, works that had been hand copied mostly by monks in the scriptorium of monasteries would henceforth be printed at a rapid rate, putting an end, however, to the long reign of illuminated manuscripts. The reign of illuminated manuscripts had, indeed, been a long one. 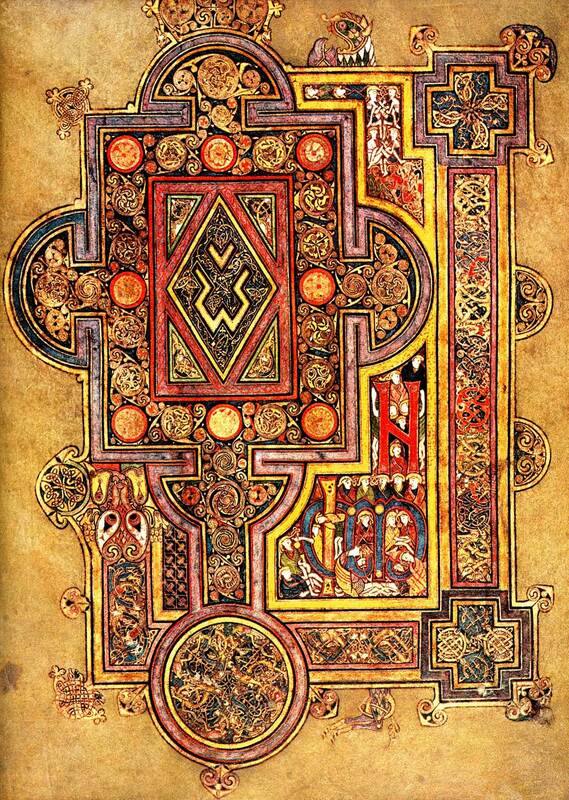 The Book of Kells, a Gospel book in Latin, was created by Celtic Monks in c. 800. 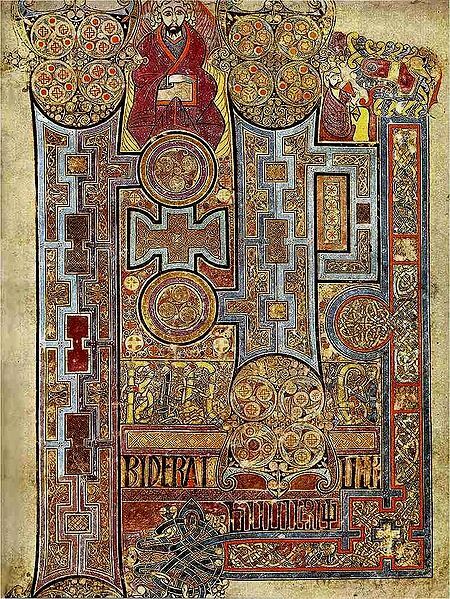 The Book of Kells is the finest illuminated manuscript belonging to Insular or Hiberno-Saxon art, the art of the British Isles, and predates the Très Riches Heures de Jean de France, Duc de Berry (c. 1412 and 1416), a Book of Hours. 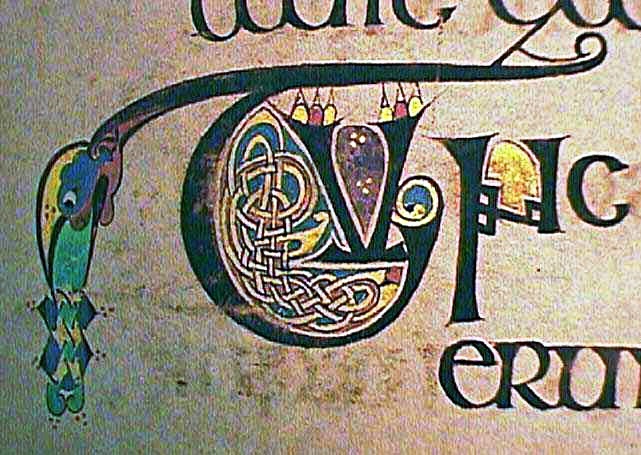 Moreover, the Book of Kells had antecedents. It was a pinnacle. 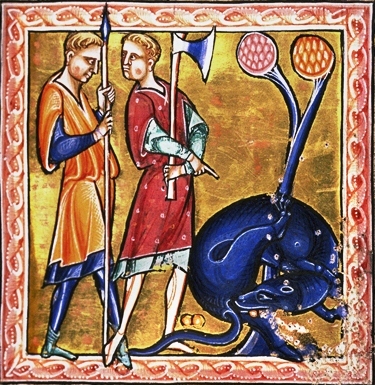 But the Aberdeen Bestiary, one of several medieval bestiaries, was not an incunable and it belonged to one of at least two traditions in beast literature and visual arts. 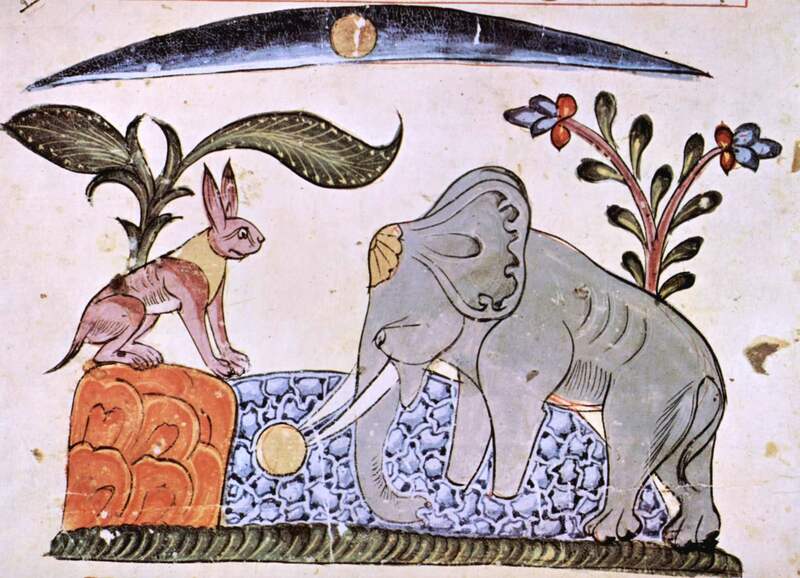 Medieval beast literature includes allegorical bestiaries, on the one hand, and, on the other hand, beast epics and fables originating, to a greater or lesser extent, in India’s Panchatantra, written in the 3rd century BCE, if not earlier. The Panchatantra could belong to a learned tradition stemming from an oral, i.e. unwritten, tradition. 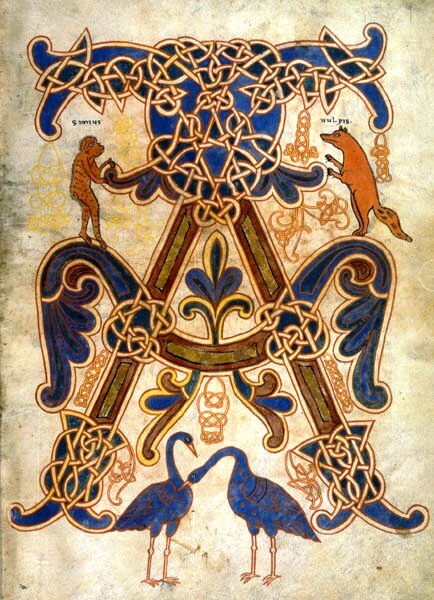 The Aberdeen Bestiary (Aberdeen University Library, Univ Lib. MS 24) is a 12th-century English illuminated manuscript bestiary that was first listed in 1542 in the inventory of the Old Royal Library at the Palace of Westminster. Bestiaries[i] are not Gospel books, nor are they Books of Hours. They are allegories, which means that each beast, plant or stone is a symbol. Britannica defines allegories as “a symbolic fictional narrative.”[ii] For instance, in Western literature, the Unicorn, a fantastical animal, represents Christ and the Phœnix, an immortal bird, represents the resurrection of Christ. Each animal is a symbol. 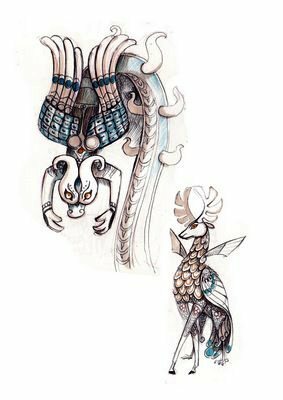 There are, nevertheless, similarities between the allegorical bestiary, where animals are symbols, and beast stories rooted, in part, in the Pañcatantra. In both traditions animals are anthropomorphic. The word anthromorphism is derived from the Greek ánthrōpos, meaning human, and morphē, meaning shape. In other words, literary beast are humans in disguise and, in both traditions, they are also stereotypes. 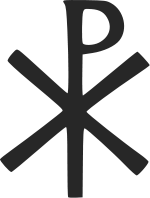 The fox is wily and the phœnix symbolizes the resurrection of Christ. However, bestiaries differ from Reynard the Fox. In bestiaries, we have zoomorphic animals, or animals that combine human and animal features (satyrs, the Centaur and the Minotaur of Greek mythology) or animals that combine the features of many animals (Pegasus, the winged horse). In other words, our allegorical animals are as fanciful as many of Jacobus de Voragine‘s saints and martyrs. Strictly rather than poetically speaking, there is no St George. 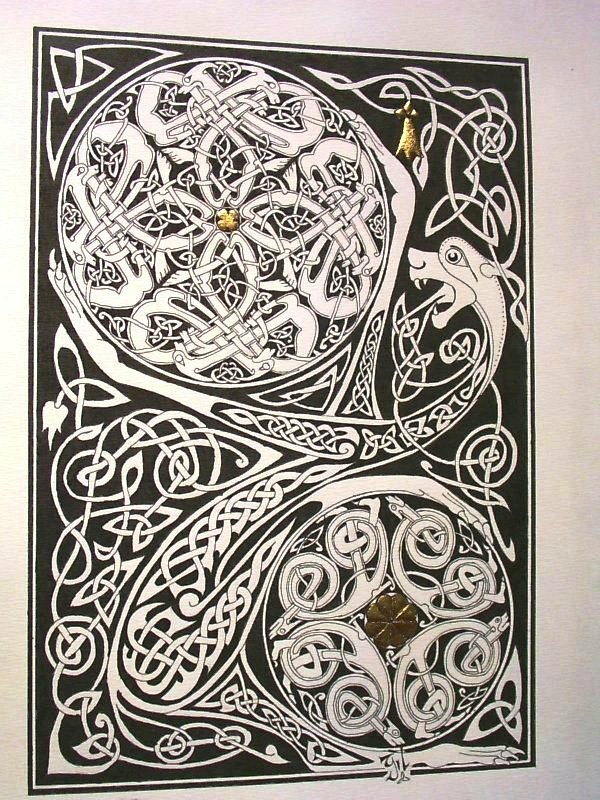 Moreover, strictly rather than poetically speaking, there are no unicorns, griffins, or dragons. Yet, fantastic animals, the phœnix, unicorns, griffins, dragons and others, are the denizens of bestiaries and have a reality of their own, a poetical, symbolic reality. 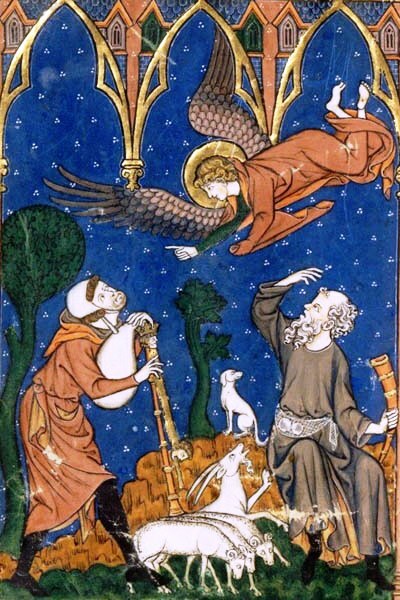 Most of the artists who created illuminated bestiaries had never seen the animals they depicted. In fact, historians themselves relied on the reports of travelers, from ancient Greece down to Marco Polo (15 September 1254 – 9 January 1324). The Travels of Marco Polo (Il Milione and Le Livre des merveilles du monde) and the accounts of other travelers no doubt contained descriptions of animals, but a picture is worth a thousand words. There is a Marco Polo sheep, but it could be that a traveler described an animal with one horn, not two. That animal might have been a rhinoceros, a real animal, but, short of a picture, our animal could take on characteristics that transformed it into a unicorn, a mythical, or fantastical, animal. Therefore, our artists based their illuminations mostly on descriptions found in books. Their most important source was a 2nd-century CE Greek book entitled the Physiologus. In the Physiologus, the pelican feeds her young with her own blood, the phœnix rises from its own ashes, etc. They were symbols before entering bestiaries. Authors of bestiaries also borrowed from Isidore of Seville‘s (c. 560 – 4 April 636) Etymologiae or Origins. Finally, although they may not have been accurate, there were books on animals written by historians. The main ones are listed in From Bestiaries to… Harry Potter. I must close, but we have the backdrop. 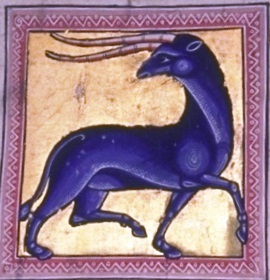 My next post will be on the Aberdeen Bestiary. [i] bestiary”. Encyclopædia Britannica. Encyclopædia Britannica Online. [ii] “allegory”. Encyclopædia Britannica. Encyclopædia Britannica Online. [iii] “Panchatantra”. Encyclopædia Britannica. Encyclopædia Britannica Online. [iv] “Hoseyn Wa’ez-e Kashefi”. Encyclopædia Britannica. Encyclopædia Britannica Online. 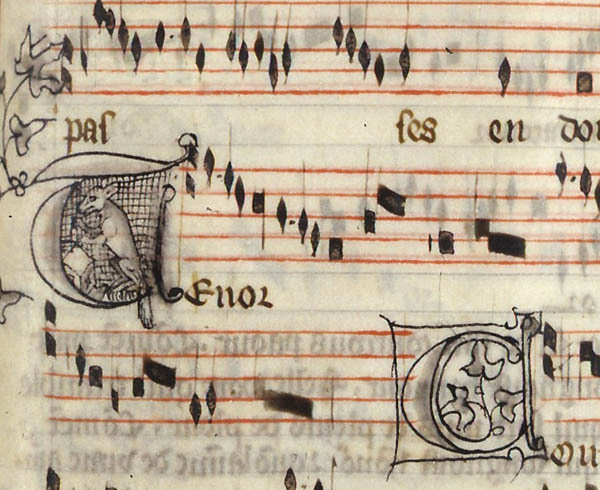 Jean Ier de France, Duc de Berry (Jean de Berry; 30 November 1340 – 15 March 1416) was an avid collector of psalters, breviaries (brief books of liturgical rites), missals, Books of Hours, books honouring saints (hagiography), Bibles, and other objets d’art. the Belles Heures du Duc de Berry (1405-1409: 172 miniatures), now located in the Cloisters at the Metropolitan Museum of Art, New York. Valerius Maximus, De dictis factisque mirabilius (1, the frontispiece), located in the Vatican. 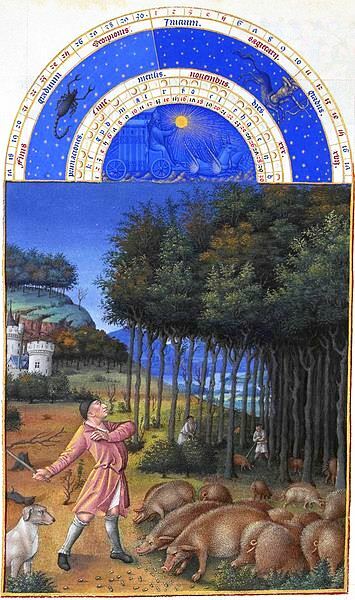 We will concentrate on the Très Riches Heures du Duc de Berry, commissioned by Jean Ier de France in 1410 and currently housed at the Musée Condé, in Chantilly, France. 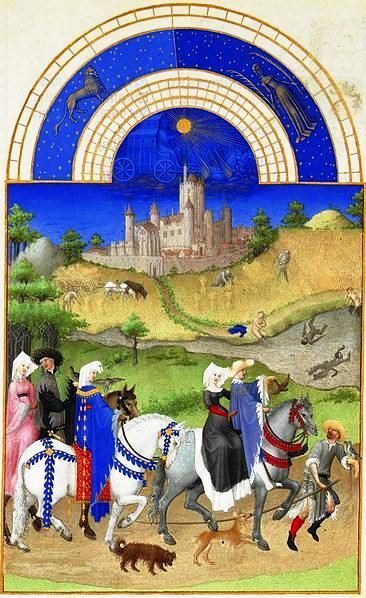 All three Limbourg brothers, Herman, Pol (Paul) and Johan (Jean), born in Nijmegen, now in Gelderland, in the Netherlands, worked on Jean de France’s famous Très Riches Heures, but all three died in 1416, aged 28 to 31, probably of the plague, which, in all likelihood, also took the life of their patron, the Duc de Berry. 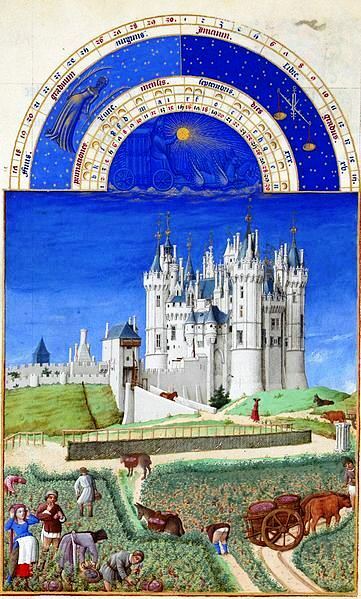 The Limbourg brothers had nearly completed their assignment before their death, but not quite. Later in the fifteenth century, an anonymous artist worked on the manuscript. It would appear this anonymous artist was Barthélemy d’Eyck, or van Eyck (FR) (c. 1420 – after 1470), called the Master of the Shadows. 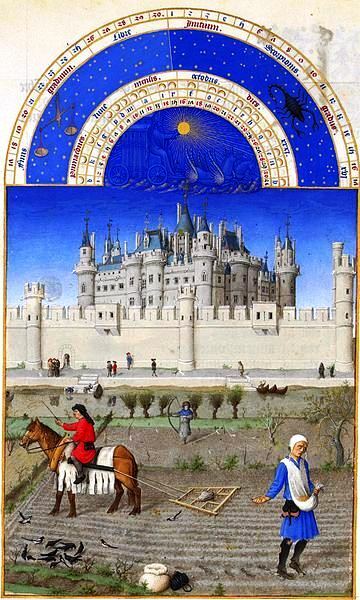 If indeed Barthélemy d’Eyck, or van Eyck (FR), worked on the Très Riches Heures, he did so after 1444. [i] His extremely generous patron was René d’Anjou (16 January 1409 – 10 July 1480). 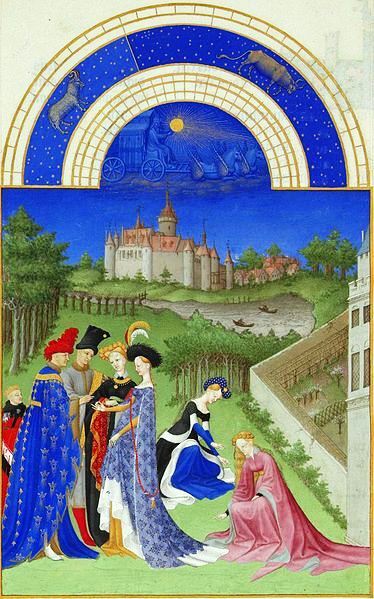 The Limbourg brothers were born to artistic parents. Their grandfather had lived in Limburg, hence their name. But he had moved to Nigmegen. His son Arnold (1355-1360 – 1395-1399) was a wood-carver. Their mother, Mchtel Maelwael (Malouel) belonged to a family of heraldic painters. However, the most prominent artist in the brothers’ family was their uncle Jean Malouel, or Jan Maelwael in Dutch, who was court painter for Philip the Bold, Duke of Burgundy. It should be noted that between 1032 and 1477, Burgundy was an enlarged Duchy of Burgundy, also called the Franco-Flemish lands. 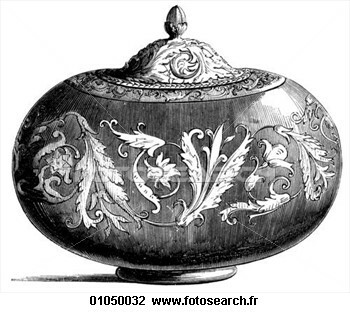 As for the brothers themselves, Herman and Johan were sent to Paris to learn the craft of goldsmithing and upon the death of Philip the Bold, in 1604, they were hired by his brother, Jean de France. They worked in a style called International Gothic. 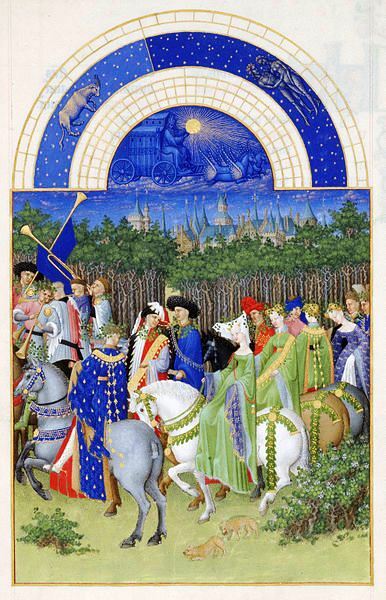 As Jean de France, Duc de Berry’s artists, the Limbourg brothers were first assigned a long project, a Book of Hours entitled Belles Heures du Duc de Berry, containing 158 miniatures, currently housed in the Cloisters at the Metropolitan Museum of Art, in New York. As for the colors, fine pigments were used and blended by the brothers themselves into a form of gouache and, at times, they crushed lapis lazuli, a semi-precious stone into a “liant,” a binding agent. They also used gold leaf. It was a delicate process done step by step on a relatively small piece of vellum (vélin), the skin of a calf (veau). The Limburg brothers and Jean de France died before the age of thirty. Yet, their legacy is an exceptional depiction of their life and times. 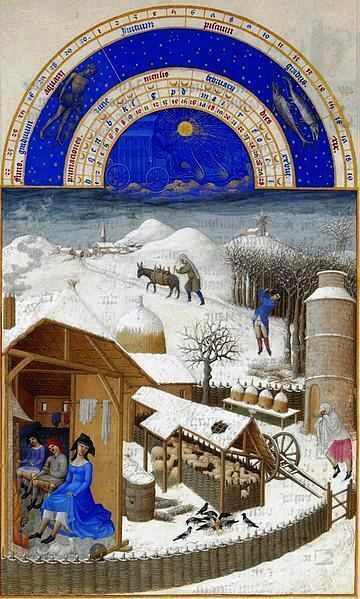 I am certain Jean de France marvelled at the consummate artistry of the Limburg brothers. They worked at a moment in history when perspective had not yet entered their world, except simple linear perspective. [vii] Yet their folios show the degree of dimensionality that could be achieved in the Burgundian 15th century. Therefore, their art has its own finality and it is love for what it is. I especially like the serenity of the folios constituting the twelve months of the Calendar. The Labours of the Months do not seem an imposition but the natural activity of simple human beings reaping food and comfort from a rich land and hoping in an age were an epidemic could be devastating. Their faces and gestures do not show fear. On the contrary, they show faith. They are working so that months will grow into seasons and seasons into years that will return until they enter peacefully into the timelessness of life eternal. 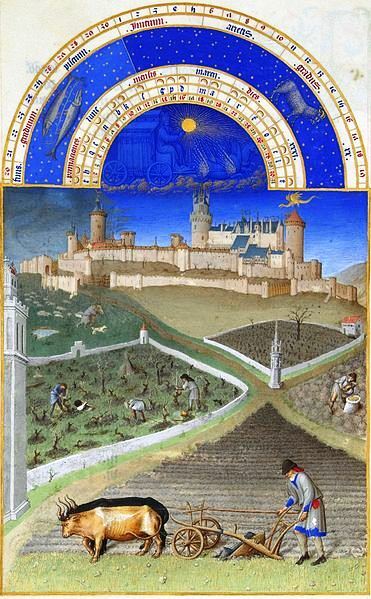 To view the pages corresponding to each month of the year, click on Très Riches Heures. N.B. Several illuminations painted for Berry’s Book of Hours inspired some of the backdrops to sets used by Laurence Olivier in his film of Shakespeare’s play Henry V which he made in 1944 on the eve of the Normandy invasion. “Book of hours”. Encyclopædia Britannica. Encyclopædia Britannica Online. Encyclopædia Britannica Inc., 2012. Web. 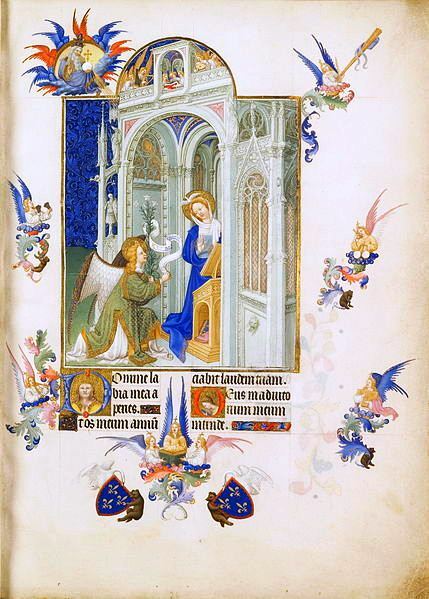 12 Dec. 2012 <http://www.britannica.com/EBchecked/topic/73409/book-of-hours>. [ii] See the “Très Riches Heures” entry in Wikipedia. 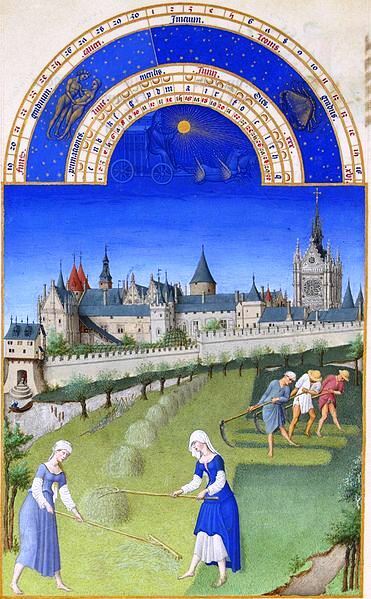 “Très Riches Heures” entry in Wikipedia. [iii] “Limbourg brothers”. Encyclopædia Britannica. Encyclopædia Britannica Online. Encyclopædia Britannica Inc., 2012. Web. 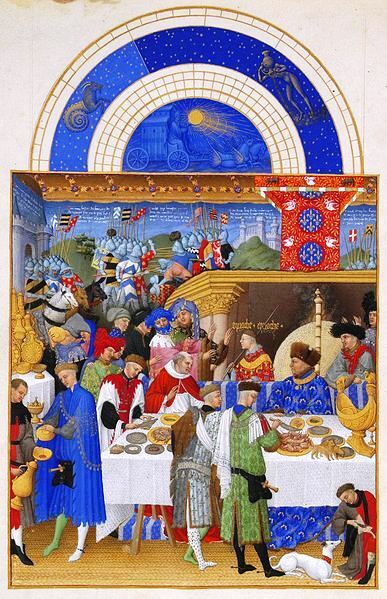 13 Dec. 2012 <http://www.britannica.com/EBchecked/topic/1475265/Limbourg-brothers>. [vii] “High Point of Courtly International Gothic”. Replaces post published on 17 November 2011. The second video features the Ensemble Planeta. There is more to say on every subject I have discussed regarding feasts and the seasons. For instance, we haven’t looked at the Fitzwilliam Book of Hours, a sixteenth-century masterpiece, preserved at the University of Cambridge. With respect to the Fitzwilliam Book of Hours (Bruges, 1510), the Folio Society has published a limited number of copies of this extraordinary Franco-Flemish manuscript. In fact, a visit to the Fitzwilliam Museum site will reveal the existence of other illuminated manuscripts. But, perhaps more importantly, Books of Hours also point to oneness in diversity. The degree of darkness and light has been celebrated in most cultures. And if the dragon is menacing to Europeans and friendly in China, it is nevertheless a universal zoomorphic animal. So is the Unicorn. Moreover, although the degree of darkness and light is a scientific truth and a demonstration of heliocentrism, it is also a cultural marker. And we have also seen the twofold dimension of time, the vertical and the horizonal: kairos and chronos. To a large extent, our celebrations are a manifestation of the moment (kairos) as opposed to time infinite. As for the texts we have glimpsed, one of my readers pointed out that they are palimpsests. There is a text underneath the text, and a text underneath the second text, as well as a text underneath the third text. Yet the texts, mostly similar texts, thus unveiled may have originated in one culture. The story within the story structure reflects a deeper level of intertextualité than can exist between texts. So intertextualité does not happen only between texts, but there are instances of text(s) within texts, or play(s) within the play. And we also have motifs: the mille-fleurs motif, the Bizantine leaf and grape motif, the Greek key motif, variations on the Celtic eternal or endless knot motif. In short, there is an abundance of similarities, yet originality and uniqueness remain. Text, graphic art, including anonymous art and decorative art, and music all stem from one mold, the human mind and the human senses, yet there is constant newness and youthfulness to things eternal.